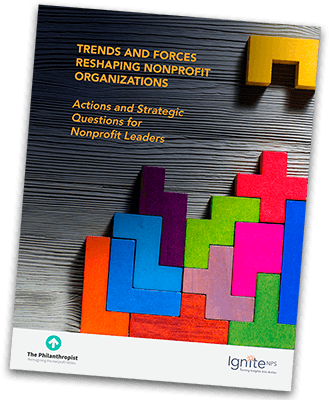 Ignite NPS is a foundation which supports the development and broad distribution of practical research, resources and tools designed for board members and staff of non-profit organizations across the sector. The goal is to ignite new ways of working and help leaders to adapt to the complex and competitive landscape. Ignite NPS provides grants to projects and initiatives which advance the mission. As well, the Ignite NPS’ Chair, Linda Mollenhauer, volunteers her time and expertise to work in collaboration with consultants, capacity building organizations and sector-wide organizations on projects that are aligned with the mission. Ignite NPS is funded by the Gary Whitelaw and Linda Mollenhauer Foundation.